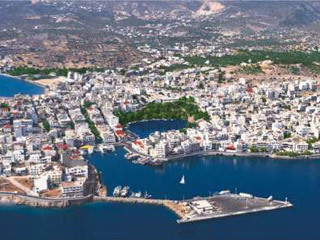 Lassithi is the easternmost prefecture of Crete. Lassithi has a special beauty that reflects serenity and tranquillity. You can surely visit this prefecture if you want to relax and get away of crowded places. The light of Lassithi transfers you to your dream place. 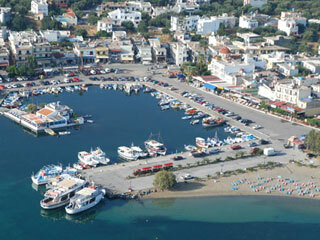 Its capital, Agios Nikolaos, is a colourful, picturesque town. The gulf of Mirabello with countless rowboats lined up next to each other is a fabulous landscape that you mustn't miss visiting. In the north of Agios Nikolaos, a beautiful place, Elounda , hosts the most luxurious hotels of Greece and many gourmet restaurants that will fascinate you. The other major towns of Lassithi are Ierapetra, Sitia and Neapoli. Visiting the villages of Lassithi, you will explore the tradition of Crete mixed with the wonderful natural environment. If you are a mountain lover you should visit Lassithi Plateau on the foot of Mount Dicti , where you will be fascinated by the view of 10,000 windmills. In the north east of the prefecture lies a sandy beach, named Vai , where you can enjoy a forest lush of palm trees. In the north of the prefecture fabulous small and large beaches covering 65 km. will complete your dream vacations. These exotic places have luxury hotels, villas or apartments with so many facilities so as to make you forget any unpleasant moment of your life!